Becoming a Certified Nursing Assistant in Arizona is a great career decision for anyone who wants to work with patients or long-term care residents in a healthcare setting or provide in-home services. The Arizona State Board of Nursing (AZBN) regulates the training, examination and registry process, all of which are quite straightforward. There are educational facilities offering CNA training throughout the state, making it convenient to access a program no matter where the student lives. Nursing assistant programs are conveniently located in large cities and small towns in Arizona. The programs are found in high schools, community colleges, universities, institutes of technology, medical colleges, and long-term care facilities. The great variety of options makes it easy for people across the state to find an ideal program. It is important to only consider CNA programs that are approved by the Arizona Board of Nursing. 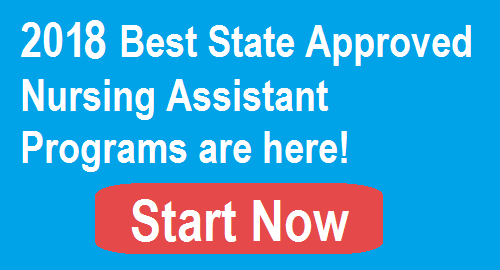 Following are suggested steps for finding the best CNA training and become a Certified Nursing Assistant (CNA) or a Licensed Nursing Assistant (LNA) in Arizona. Since CNA programs in Arizona are available in most populated locations, people are usually able to attend a local educational or training facility. In fact, many locations have multiple facilities offering training. State-approved training programs require a minimum of 120 hours of training that is broken down into 80 hours of didactic (classroom and laboratory) instruction and 40 hours of clinical training. In Arizona, there are 116 providers offering state-approved Certified Nursing Assistant classes. The training providers include colleges and schools, long term care facilities, high schools, and independent program providers. Lake Havasu City Independent Regional Center for Border Health, Inc.
Mesa Independent East Valley Medical College, Inc.
Parker Independent Regional Center for Border Health, Inc.
Yuma Independent Regional Center for Border Health, Inc.
Mesa Community College – The 6-credit Nurse Assisting program leads to a Certificate of Completion in Nurse Assisting. It is a one semester course offered through the Nursing Program. Mesa East Valley Medical College – The CNA program takes only four weeks to complete. If the student needs to quickly enter the job market, this is a good program choice. Mesa East Valley Institute of Technology – There is a two-semester program offered to high school students and a limited number of adults over the age of 18. The first semester is classroom and laboratory training. The second semester is clinical training. There is also an adult evening CNA course. This is just an example of how nursing assistant courses can vary by school. Students serious about becoming a CNA in Arizona will be able to find a program that meets their needs. Various forms of financial aid may be available to help defray the tuition and fees. Not all CNA programs are eligible for federal financial aid. However, even if federal financial aid is not available, there may be scholarships and grants the student can apply for. It is important to discuss financial aid opportunities with program staff at preferred schools. Costs vary from program to program in Arizona. For example, the East Valley Medical College cost of attendance is $1,208 for the four-week CNA training program. Gateway Community College in Phoenix charges $1,500 for a 198-hour training program that takes six months to complete. At the Phoenix Job Corps, students can attend a Nursing Assistant program for free. Note that tuition and fee rates may change from year-to-year, so always check for current rates. Most program charges cover tuition, fees and textbooks, but may include other fees and expenses. For example, the Central Arizona’s estimated total CNA program cost is $1,210, but it includes course fees for an eight-credit program, textbooks, fingerprint card, background check, uniforms, physical exam and immunizations and medical supplies. The Gateway Community College estimated total does not include uniforms and textbooks. Many students complete a Nurse Assistant program with the intent of eventually entering a nursing program to become a Licensed Practical Nurse (LPN) or a Registered Nurse (RN). One of the unique aspects of the Arizona process is that there are two levels of nursing assistant. One is the CNA who completes training, passes the certification exam and has his or her name placed in the CNA registry. The second level is the LNA or Licensed Nursing Assistant. The LNA completes the same training and examination process as the CNA but pays fees for licensure and must pass a state and federal fingerprint check before the person’s name is added to the registry for licensed nursing personnel. A CNA can convert to being a LNA (visit My Services to convert). Federal law does not allow charging CNAs for registry initial placement or renewal. By adding a license, the Arizona State Board of Nursing can charge for licensing, initial fingerprint background check and licensing renewal. The Board notes that some employers may prefer the LNA designation because it means the person has undergone a state and federal criminal background check, a higher level of review by the Board and additional renewal requirements. However, both the CNA and LNA enjoy excellent healthcare careers. After successfully completing the Nurse Assistant program and receiving a certificate from a state-approved program, the graduate must take and pass the CNA exam. The competency exam is administered by D&S Diversified Technologies Headmaster. The CNA program registers the exam applicant with D&S. The applicant can then schedule an exam, once registration is complete, by submitting an application that includes fees, a copy of the Certificate of Completion of Training and proof of legal presence in the USA. The list of regional test sites and testing schedules are available on the headmaster website. It is wise to check with the Nurse Assistant program staff before scheduling an exam because some host and schedule CNA testing only for their program graduates. The exam is made up of two parts: The Knowledge/Oral Test and the Manual Skill Test. Knowledge/Oral Test – The 75-question test is administered either electronically or on paper. The questions test on the subject areas that were required to be taught in a state-approved Nurse Assistant program as previously described. Manual Skill Test – The exam taker must complete one mandatory task (perineal care of a female, perineal care of a male with changing a soiled brief, or bedpan and output) and two to three tasks that are randomly selected. Headmaster provides a complete list of manual skills in its online handbook, from which randomly selected tasks are chosen. Certification requirements require passing both exam parts. After passing both parts of the CNA state exam, Headmaster sends the test results to the Arizona Board of Nursing which then decides if all requirements were met for becoming a CNA or LNA. There are some exceptions to the process just described for CNA certification in Arizona. Nursing students who completed a state-approved nursing course within the prior two years can apply for a waiver to the certification education requirement. The applicant submits the “Nursing Student Request for Waiver – Nursing Assistant Certification Education” form to the Arizona Board of Nursing with a CNA application. There are also waivers available for people with certain military training and graduates of foreign nursing programs. CNAs are required to renew their certification every two years in Arizona. The last day for CNA renewal is the last day of the month the Certified Nursing Assistant was born. To renew CNA certification, the applicant must have worked at least 8 hours in the last two years to remain in the CNA Registry. The LNA must have worked at least 160 hours within the last two years and have not incurred criminal charges to renew licensing. The renewal can be completed online (preferred method) or via paper application. If your CNA certificate or LNA license is expired or lapsed, please submit a “Lapsed/Expired Certificate Questionnaire” form and fingerprints to the Arizona State Board of Nursing for renewal.